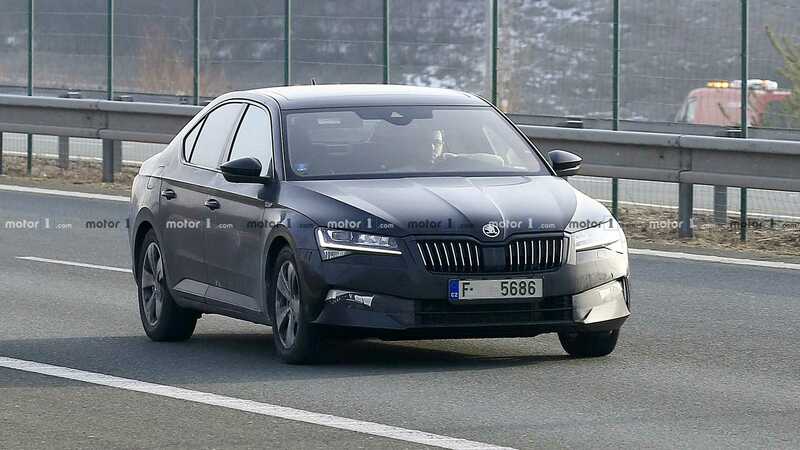 Photos showing the facelifted Skoda Superb liftback coursing along the streets without any kind of test mule camouflage on have recently emerged online. The car won’t debut until next month, so let us have a closer look at it. Compared to the pre-facelift version, the new Superb sports a slightly different overall exterior design, complete with a new radiator grille, aggressively styled bumpers, revised rear lights and a new dual-pipe exhaust. Interior changes include a new touchscreen display for the multimedia system and slight tweaks to the dashboard. The Skoda Superb facelift will also benefit from certain safety-oriented features found in the VW Passat. According to some preliminary information, the European Skoda will arrive on the market packing a hybrid powertrain based on a 1.4-liter gasoline engine and an electric motor. Its output is estimated at 220 hp / 164 kW, while the all-electric driving range may exceed 50 kilometers (30 miles). Another option would be a brand-new 1.5 turbo V4 with the on-demand cylinder cutout feature.